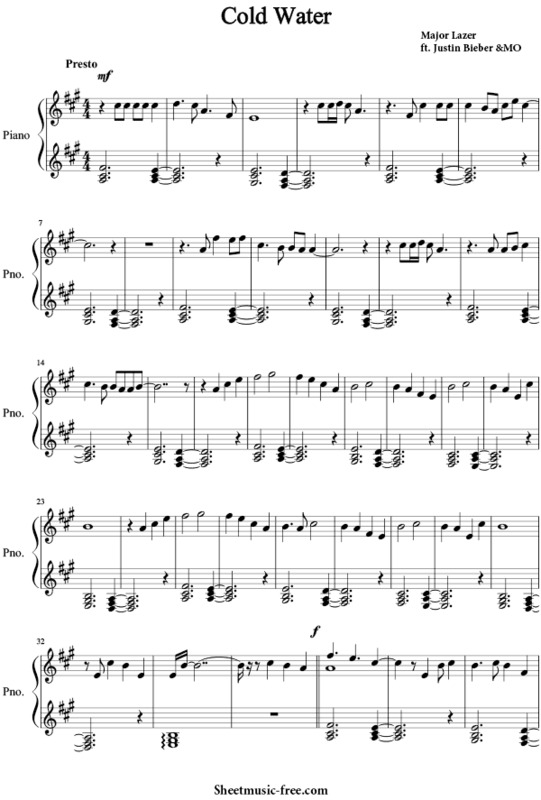 “Cold Water Sheet Music” by Major Lazer ft Justin Bieber & MO, “ Cold Water Sheet Music” for Piano, Original key: A Major, number of pages sheet music PDF: 4, Video and Lyrics song Cold Water Sheet Music. “Cold Water’” is a song recorded by American electronic music group Major Lazer, taken as the lead single from their fourth studio album, Music Is the Weapon (2016), featuring vocals from Canadian artist Justin Bieberand Danish singer MØ. Cold Water Sheet Music Major Lazer ft Justin Bieber & MO. I’ll be your lifeline tonightCause we all get lost sometimes, you know?